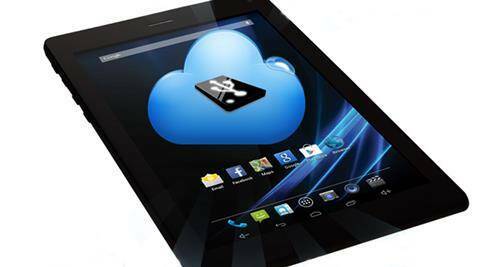 With the value proposition that it presents, it is no surprise that almost every company wants to line up with seven inch tablets that offer voice calling too. The latest to enter the scene is a company called Oplus with its XonPad 7. Design: From the front this is like any other seven-inch Android tablet. But the rear panel has a brushed metal finish which makes it look a bit like the Asus Fonepad 7. There is another differentiator, an Esc button just under the power and volume keys on the side. There is a groove at the bottom that holds micro-SD card and SIM slots. Screen: When the switch comes to life it clearly screams HD. But the resolution sort of makes the fonts and icons seem a bit too small even at the largest size. We tried some Full HD videos from YouTube and the results were decent. However, you will have trouble figuring out stuff if you plan to use this out in the open. Performance: You cannot expect much from an Android device that is priced this low. But with a quad-core processor, the XonPad 7 is decent with multi tasking and gaming. It did freeze at times, that too in strange places like Google Play and settings. Since there are no touch buttons under the screen you will have trouble using it as a phone, especially when you are trying to reach your home screen in between a call. I later realised that this is why the Esc, button has been added at the side. It is almost an afterthought and tries to do what the back buttons does on most Android phones. Memory: There is internal memory of 16GB out of which above 3GB has been used by the OS and apps. The pre-installed apps are all classics like Fruit Ninja, Candy Crush and Angry Birds which you can delete without a second thought. Connectivity: The phone works on a regular 3G SIM and you can make and receive calls without much trouble. Wi-Fi and Bluetooth too work like they are supposed to. Software: It is not the latest version of Android and you might have to upgrade soon after you purchase the device to stay current. There are no tweaks except for a stylish start screen that goes with the design language of the device. As mentioned earlier there some pre-loaded games which you can easily delete. Camera: Obviously, you are not buying this for the camera. If you are, then I cannot offer you much hope. All I can say is that some of the rear camera pictures came out like some filter had been applied on them. Both the cameras are useable and that is about it. Battery: The battery life is decent and should see if you back home if you intend to use it more like a phone and less as a tablet. If you use it for video consumption and games, then you will squeeze in eight to 10 hours at the most. Special Mention: The device has the weirdest SIM slot I have ever seen. The SIM card goes in, but there is no guarantee that it will come out when you want it to. I had to try all tricks in the book to get my precious MTNL card back. Maybe SIM cards should come with handles. Verdict: I won’t go to the extent of saying this is a bad device, which it is not. But there are some quirks that make me think you should look at other options before you decide on this one. It will, however, be tough for you to get other HD screen at this price point.